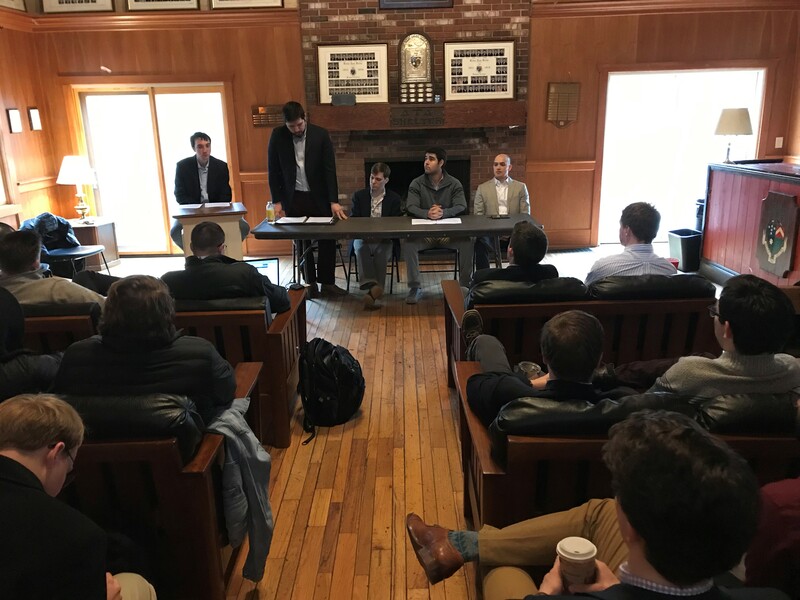 The 2019 Byron J. Horn Memorial Alumni Panel was held last weekend in Gambier. Ten alumni from classes spanning 2012-2017 traveled from across the country to join us on campus for an afternoon of discussion and mentorship. Over twenty actives attended, nearly the entire chapter. 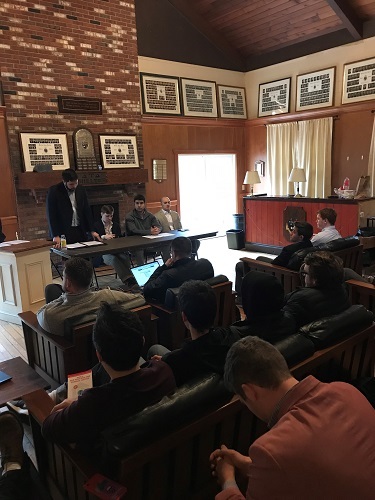 Conference calls held in the months leading up to the panel revealed the chapter’s strong interest in learning more about career paths in business and law. The panel was structured around those interests with principles that could also be applied more broadly. After a two-hour conversation guided by questions submitted ahead of time, the actives peppered the panelists with questions sparked by the discussion. Following the Q&A session, the panel dispersed into break-out groups tailored to various career interests. 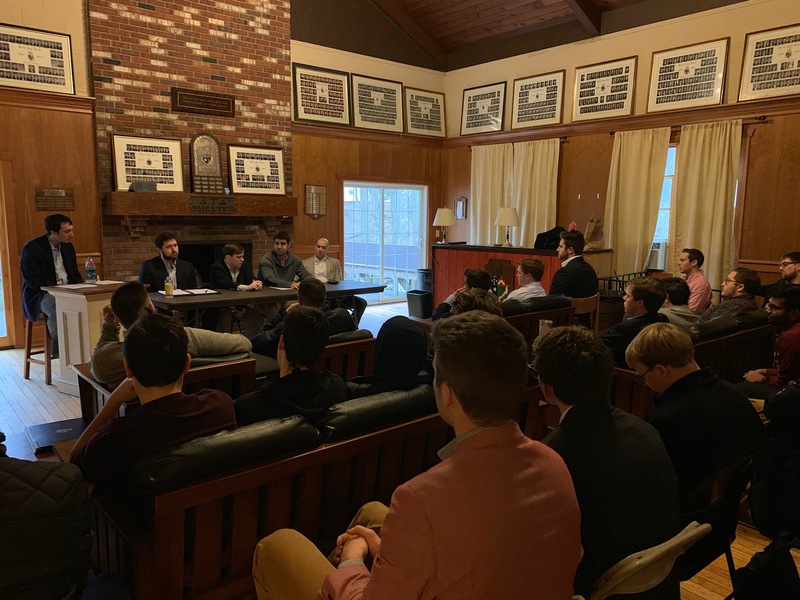 Post-panel feedback was overwhelmingly positive, and the alumni in attendance were invigorated to continue serving as mentors, both to the chapter as well as one another. The recent alumni who returned to campus this weekend, including the panelists, were inspired by the efforts of leaders in Delt classes across the ’80s. These leaders were first responsible for reconnecting with the chapter several years ago in honor of Bryon Horn. Now, we seek to emulate our Brothers’ dedication to lives of excellence as we ascend in our chosen industries as well. To that end, we plan to continue the panel and to maintain this tradition for years to come.